In 2016, the Scottish Government announced ambitious plans to expand the number of funded childcare hours from 600 hours to 1140 by 2020 – for all 3 and 4 year olds and vulnerable 2 year olds too. The expansion will almost double the funded childcare available to parents and will require investment and development of Early Learning and Childcare (ELC) services across all sectors. At Everyone’s Children we wanted to explore the role the Third Sector could play in supporting these plans, what sort of challenges they might face and what kind of advice and support GCVS and the Third Sector Interface (TSI) could provide to help unlock the Third Sector’s potential. We wanted to begin by building a map of provision in the city and found the information we required on the Glasgow Family Information Service website. It allowed us to analyse the type of provision available in each area, the number of places provided, opening hours and information on the availability additional support for learning and funded entitlement. We placed this data on a Google Map to show provision across the city, coded by Third, Private and Public Sector facilities. 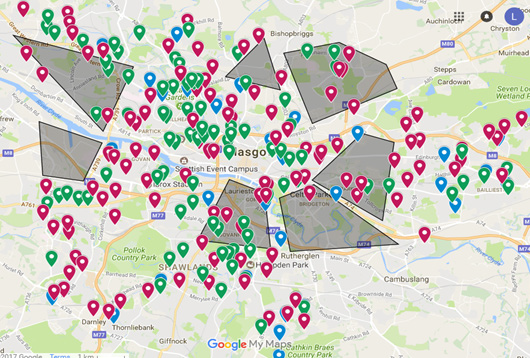 Our mapping exercise showed around 35 Third Sector nurseries across Glasgow. However, this number includes nursery facilities only and there is a vast array of other Third Sector organisations who deliver play sessions and family support across the city. Funding can limit the salary on offer and this impacts staff retention, meaning that some services find it difficult to recruit and retain skilled staff. 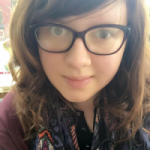 As our Everyone’s Children project is hosted by GCVS and funded by the Scottish Government, we wanted the research to consider the role EC, GCVS and the Third Sector Interface could play in supporting this agenda going forward. It was clear throughout our interviews and analysis that there is a clear role for GCVS and the TSI in helping our Third Sector Early Learning and Childcare colleagues overcome some of the challenges they face – e.g. information, capacity building support, HR advice. We will continue to advocate for the Sector and promote and showcase the amazing work they do while also exploring how we can create simple pathways that link organisations to the help, advice and training they need. We will use our research to inform our discussions with strategic partners and decision makers at city-wide and national level. You can stay informed about our work by signing up to the Everyone’s Children Newsletter here. On a personal note, I’d just like to thank all of the organisations and staff who took part in this research for their input and honesty which really helped us to understand challenges, barriers and needs. It has given us here at GCVS and Everyone’s Children a clear idea of our role and where we can be most beneficial to you and ultimately to Glasgow’s Children and Families.